Neil Diamond: The Earliest Days Of A 'Solitary Man' Diamond has sold 128 million records and written and recorded 37 Top 40 songs. But in the early 1960s, rock historian Ed Ward says, Diamond was writing songs for other musicians while struggling to get his own career off the ground. 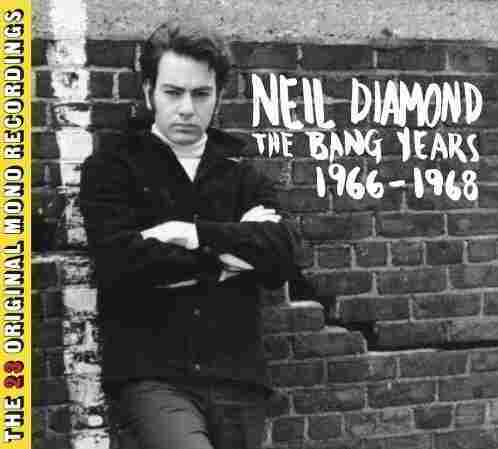 Sony Legacy has just released Neil Diamond: The Bang Years 1966-1968, a compilation of songs Diamond recorded during his two years at Bang Records. Rock historian Ed Ward has this appreciation. Probably the strongest negative reaction I've ever gotten to anything I've written was when I panned a Neil Diamond show during my stint at Austin's daily newspaper. His fan club's newsletter picked it up, and for two and a half years we got letters denouncing me — the last of which came from Vanuatu, in the South Pacific. But my disappointment in the show was based on remembering where Diamond had come from. Watching him literally wrap himself in an American flag, I remembered his contribution to pop music and felt sad. Diamond was born in Brooklyn to immigrant parents in 1941, and got a guitar for his 16th birthday. Almost immediately, he started writing songs and performing them with a neighbor. He went from one unsuccessful record contract to another, from the most obscure to a one-single deal with Columbia. This led to a songwriting contract with Jerry Lieber and Mike Stoller, which kept him fed but produced only six songs in one year. He'd been mentored by the great songwriting team of Jeff Barry and Ellie Greenwich after Greenwich sang backup on a demo he'd cut and, after getting fired from Lieber and Stoller, he asked them if they'd take a chance on him. At that point, something happened. Barry and Greenwich scored him a deal with Bert Berns' new label Bang, and his second single, "Cherry Cherry," wound up in the Top 10 in 1966. Suddenly, Diamond was writing more than he could record, so Tallyrand Music, the company Barry and Greenwich had set up with him, was placing his songs all over the place. "Red Red Wine," for instance, found its way to the Jamaican expat community in London, where a guy named Jimmy James recorded it, only to be scooped by Tony Tribe, who put a reggae beat to it. Twenty-five years later, the British band UB40 recorded it on an album of the songs its members had grown up with, released it as a single, and topped charts worldwide over an amazing two-year period. There was no doubt Diamond was hot: The Monkees' version of "I'm a Believer" was 1967's top-selling song, and so it was no surprise when The Box Tops — led by Alex Chilton — chose a song of his, "Ain't No Way," to record the next year. Still, Diamond was determined to have his own career, and he worked hard at it, even if he, too, sometimes recorded excellent versions of other people's songs — like the Mamas & The Papas hit "Monday, Monday." But things at Bang were untenable. Bang's view of who Diamond was and his own idea were at odds with each other, and when he and the label locked horns over what his next single should be, it resulted in a lawsuit which made its way all the way to the Supreme Court, which found in his favor. 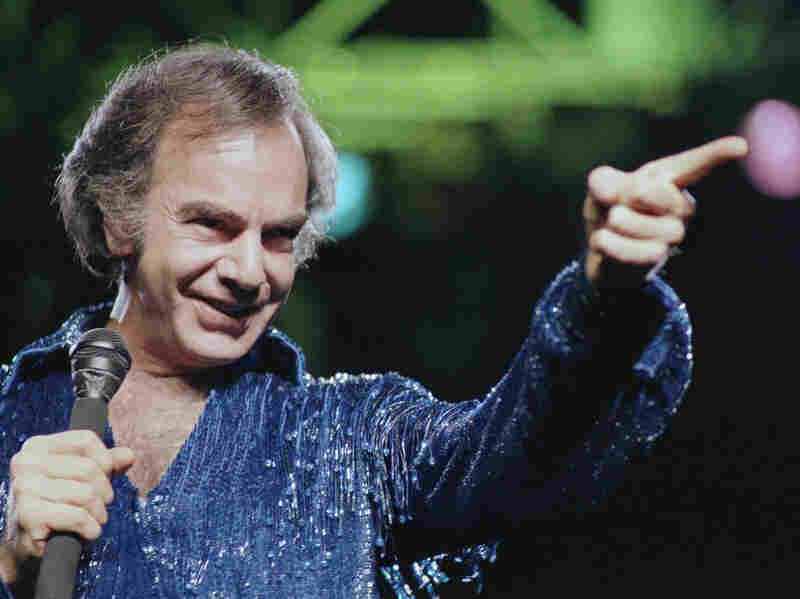 Bert Berns, the label's head, had died during the course of it all, and by early 1968, Neil Diamond had signed to another label — and was on his way to superstardom.